CAUTION! 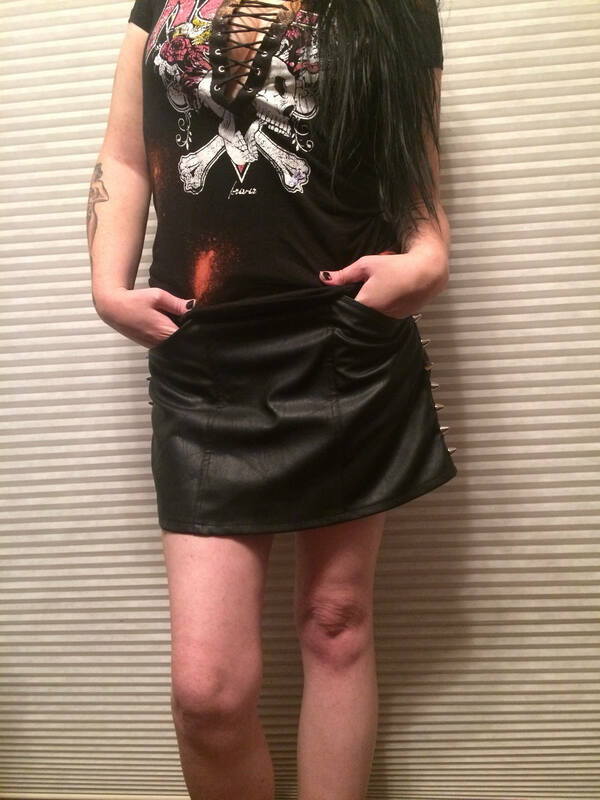 This skirt is HOT! 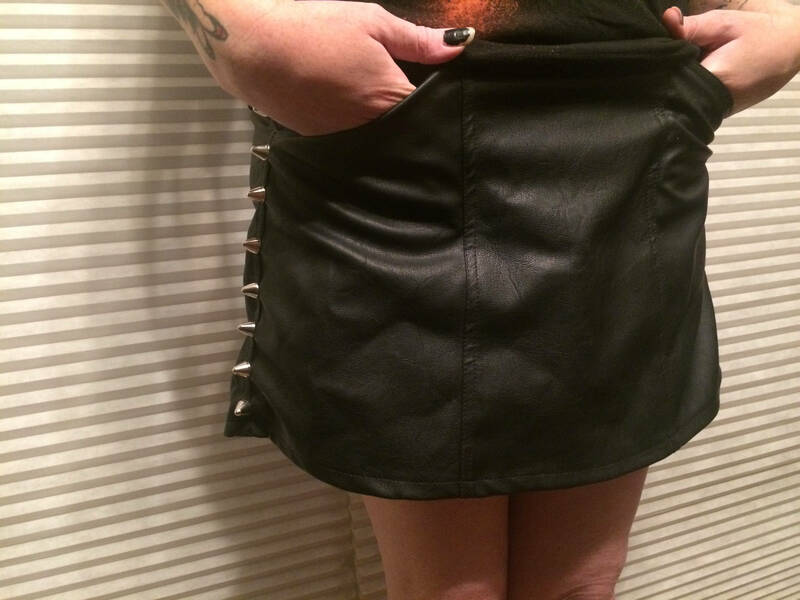 This is a faux leather, black mini skirt. Material resembles leather. 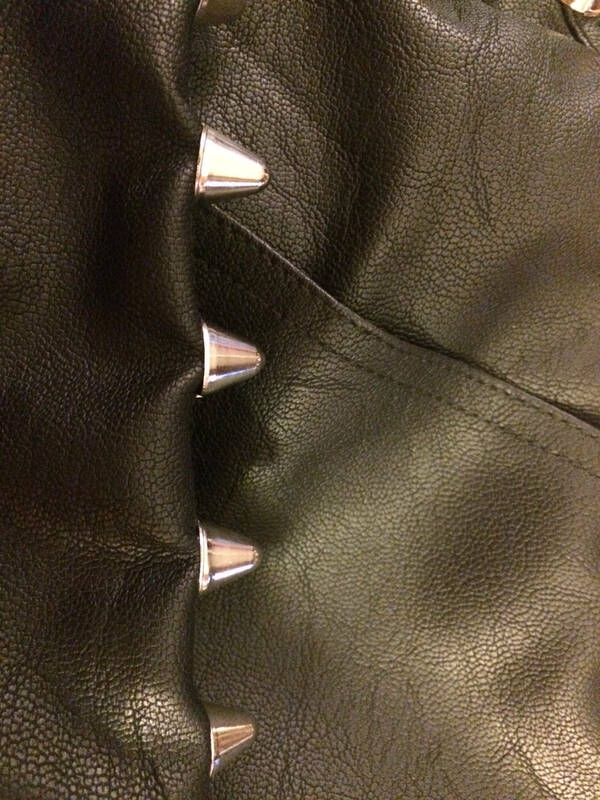 Side seams are studded with cone studs. Skirt measures 15 inches in width, and 15 inches in length. 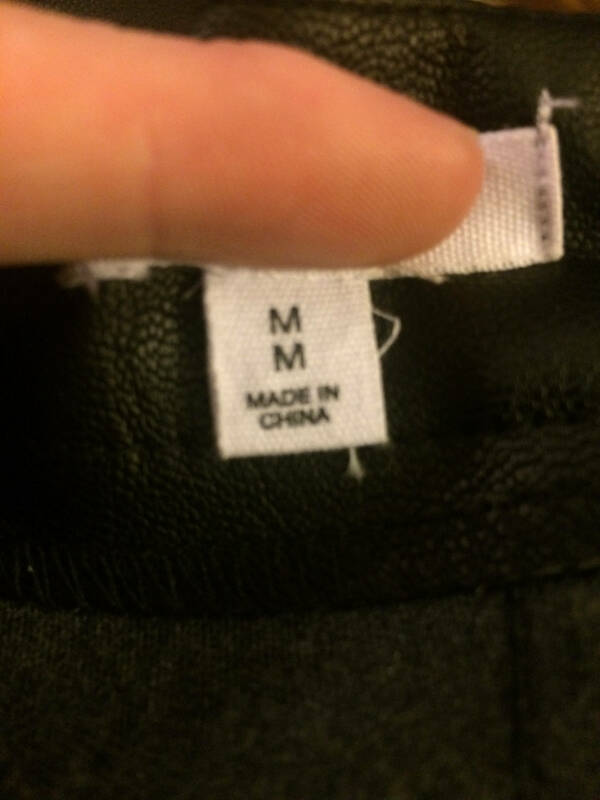 Inner tag says that this skirt is sized as a Medium. 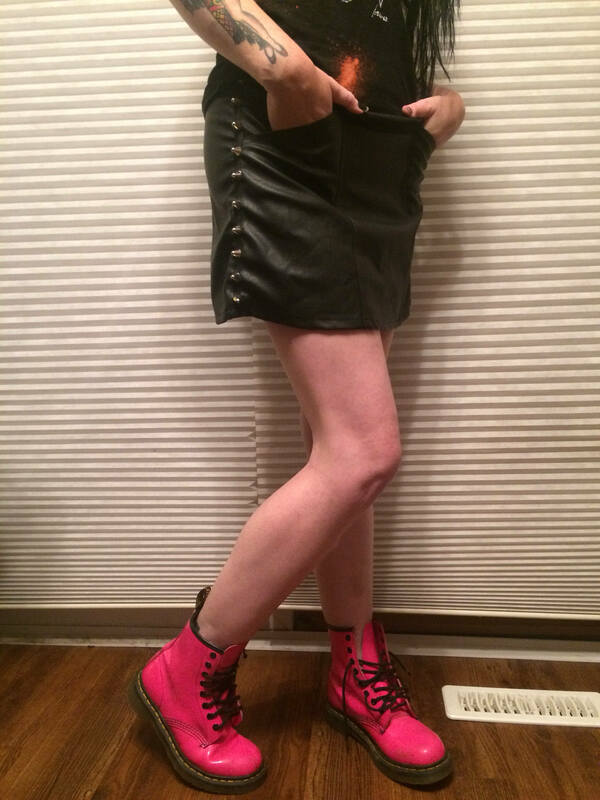 Skirt also has 2 small pockets in the front. Please refer to pictures.